Nowadays, the noose has become tighter around the fundamentalist regime ruling Iran, and all signs indicate that the storm of overthrow is looming on it. From a political point of view, as the figures speak, the regime has internationally become more isolated and has plunged deeper into a dire situation; consequently, a growing radical public anger has surged in an explosive Iran. The trend of regime’s overthrow and its isolation accelerates even more. The political scene, both regional and international, is rapidly and tangibly turning against it from day to day. The reality is that the clerical regime’s international and political situation is just similar to its economic downfall. Arresting the regime’s terrorists and spies in the United States and Europe, among them a high-rank diplomat, has provoked crises in the diplomatic relations between the Mullahs regime and those states that, are trying to rescue the Iran nuclear deal. At the same time the unprecedented act of closing down the regime-linked fake accounts in several global social media, such as Facebook, Twitter, Google, and Alphabet, is another blow to the regime’s malign propaganda apparatus. The exclusion of the mullahs’ regime, from the decision-making process on Syria, by Russia and Turkey, right after the tripartite summit in Tehran, and despite all the regime’s expenditures in Syria, was a serious blow to the mullahs’ expansionism in the Middle East. The invasion and torching of the Iranian regime’s consulate in Basra, Iraq, having a majority of Shia population, and mullahs’ acknowledgment of the fact that the attackers were furious people, indicates the regime’s deadlock in the region. Emphasizing on the ordinary people’s dire economic condition which has deteriorated since the signing of the 2015 nuclear agreement with six major world powers, Mr. Terzi stated that the demonstrations left no room for any doubt that the Iranian people decisively are rejecting the religious regime and are striving to replace it with an elected government. This new era is irreversible. 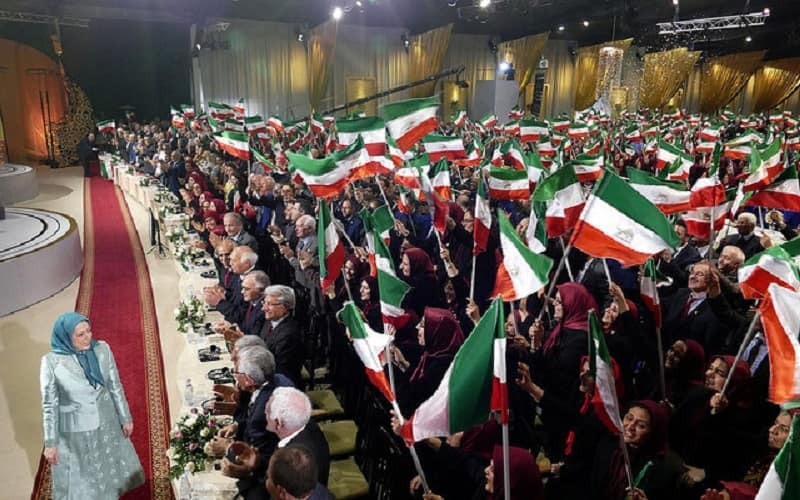 In conclusion, though the isolation and sanctions are economically suffocating the regime even worse than the time before signing the nuclear deal in 2015, without the Iranian people’s uprising and their organized resistance, crystallized in the National Council of Resistance of Iran (NCRI) and its main organization the PMOI/MEK, the economic pressures will not lead to regime change in Iran. Now it’s up to the women and men of Iran. By forming Resistance Units in our enchained homeland nationwide, they can and will bring this regime down, restoring Iran’s freedom and glory to it. The solution to economic crises depends on a fundamental political change!